It examines the funding for these citadels of learning and their graduation ceremonies. The process by which India’s ancient systems of education helped to fuel a knowledge revolution around the world with its manuscripts, forming the basis for monographs and academic papers, is explained with references. The marauding incursions by Muslim invaders, which disrupted the idyllic world of university learning in India, followed by European colonization, which led to further erosion and degeneration of India’s traditional learning systems, have been taken up in some detail. 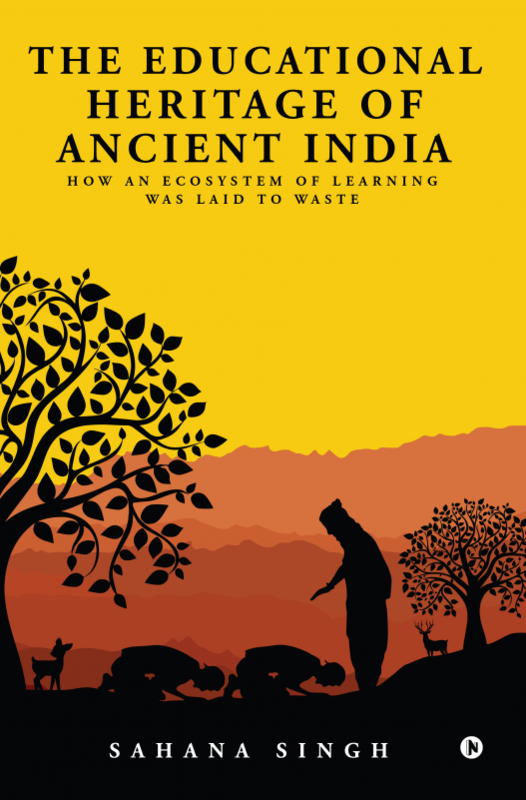 Readers will get a snapshot view of India's education system down the ages from ancient to modern times. Sahana Singh is an engineer-turned writer/editor who writes on a variety of issues including water management, environment and Indian history. A post-graduate from Delhi College of Engineering, she has won several awards for journalism. Her articles have been published in Reader’s Digest, Washington Post, Discovery Channel Asia, Asian Water Magazine, Swarajya, IndiaFacts, MyInd Makers and other publications. Sahana is a member of Indian History Awareness and Research, a Houston-based think tank. She is passionate about travelling and connecting the dots across different societies, civilizations and disciplines.